Houston took the best player in the draft when they took Clowney. He can be an instant impact player if he puts in the effort. Clowney possses the size, speed and strength to be a great defensive lineman, but at times can struggle taking on blocks. The Texans have a very talented defensive line now with JJ Watt and Jadeveon Clowney. 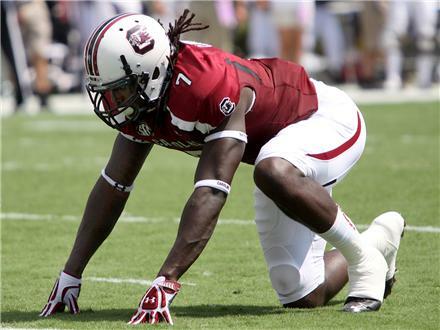 Clowney is the ultimate boom or bust prospect, but has all the talent to be succsessful. 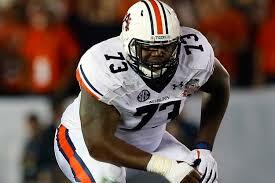 Robinson can help the Rams offensive line right away at guard or right tackle. He has amazing raw traits with his size and athleticism and is absolutely great in the run game. 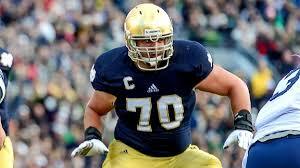 The plan can then be for the Rams to develop him into a franchise left tackle with his great tools. 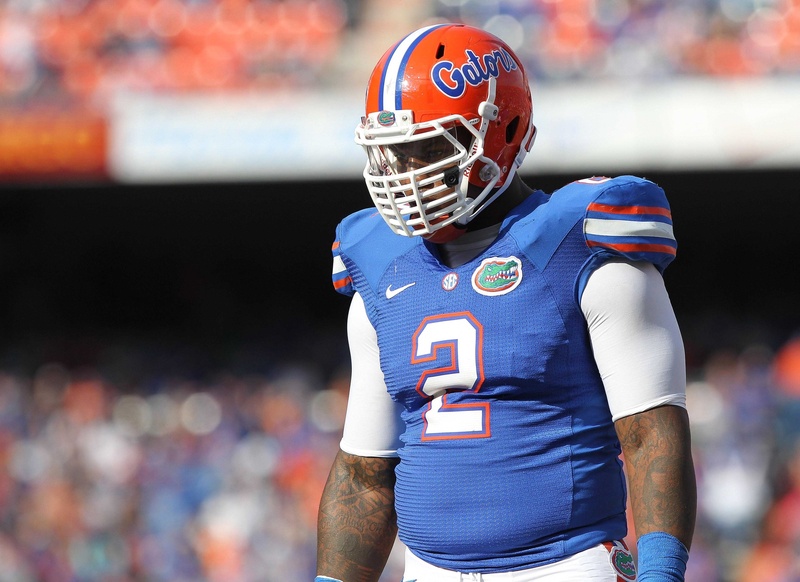 He still needs to develop his pass protection, but he can come in right away and be a great run blocker. The worst case scenario is he is a really good guard at the next level. The first surprise of the draft, the Jaguars just put the franchise on Blake Bortles right arm. They are a lot higher on Bortles than I am as I wouldn’t pick him until late first round. Bortles has an ok arm, but it can sometimes float in the air on longer throws. He also forces the ball into coverage at times and can be inaccurate with his deep ball. However, he does have good size and has shown at times the ability to drive the ball in a hole in coverage. I believe Bortles will not be ready to start right away and will have a lot of developing to do to be a quality starter. He could be a good starter at the next level, but he could also not develop and be a Blaine Gabbert type quarterback. Buffalo traded a lot to get Watkins, but Buffalo gets a playmaking wide receiver that they’ve been lacking. 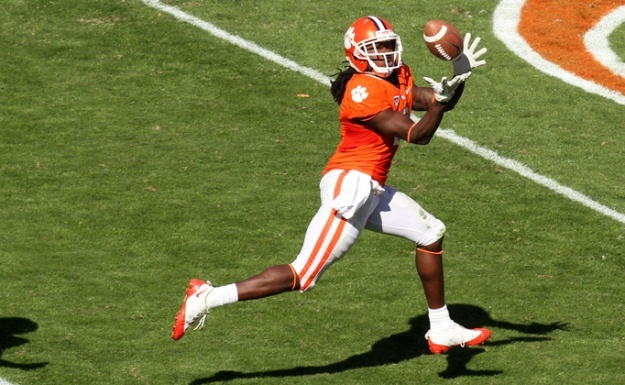 Sammy Watkins is the best receiver in the draft with his speed, great route running ability, and great after the catch ability. What separates him from Evans is his ability to separate with crisp routes. It is a lot to give a first round pick next year, but they do get a very talented wide receiver to add with Robert Woods and Mike Williams. I like who Buffalo picked, however I have never been a fan of giving up a future first round pick. 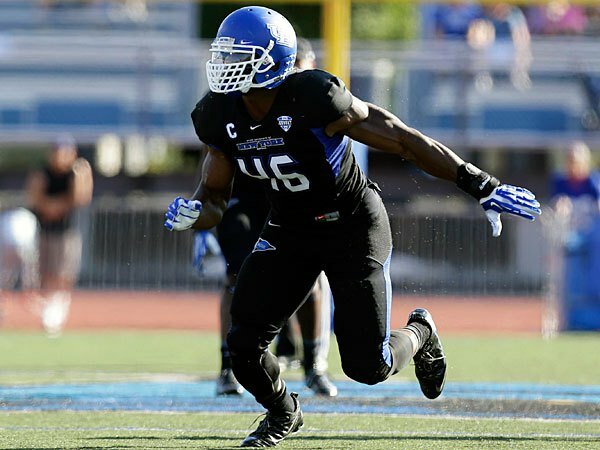 Khalil Mack is one of my favorite players in this draft. Mack has great pass rush ability and can beat you with his speed or strength. He can also drop into coverage and has a nose for the football. Khalil Mack can instantly help Oakland’s pass rush and defense in their rebuilding effort. I like the Raiders pick of taking the best player available. The Falcons fit a need with an extremely talented offensive tackle. Jake Matthews is one of the safest picks in the draft and gives the Falcons a franchise left tackle along with their franchise quarterback. Matthews is very good technique wise and has good strength in run blocking. Another strength is Matthews great feet and kick slide in pass protection. The Falcons made a focus to keep Matt Ryan protected and upright to get the ball to his playmakers. The Bucs got a very talented receiver to pair with Vincent Jackson. 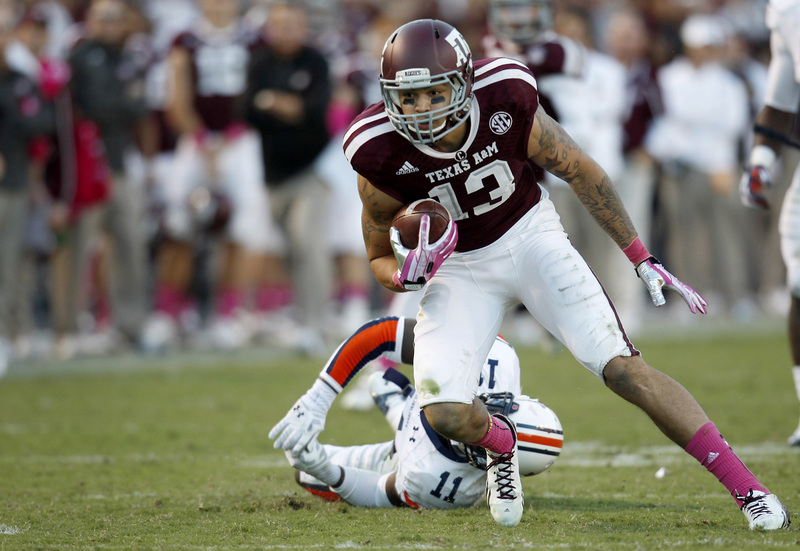 Mike Evans is a big and fast wide receiver with great hands. He is a little bit raw of a route runner, but has a ton of potential to be a top wide receiver at the next level. He is an offensive weapon that can help out Josh McCown and their offense improve from an average year last year. 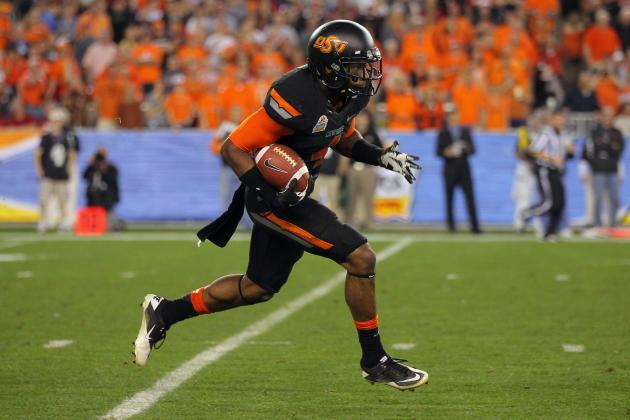 Justin Gilbert, CB, Oklahoma St. The Cleveland Browns traded up to get their guy in Justin Gilbert. He is a very talented cornerback with all the tools to be great at the next level. He is very fast and can run with any wide receiver. I question his change of direction and he was not my top cornerback, but he does have a lot of potential. 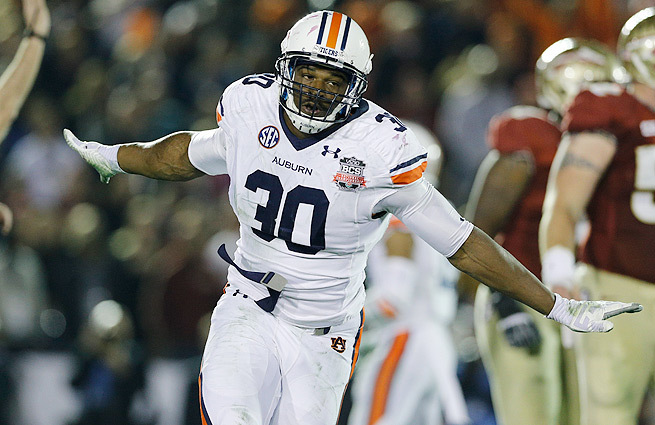 The Vikings get a quality pass rusher to make up for the loss of Jared Allen. He is a raw talent, but has the potential to be a very good defensive end. I thought of him more as a 3-4 outside linebacker, but he has the frame to play defensive end in a 4-3 defense. The Vikings also pick up a 5th round selection for moving back a pick. 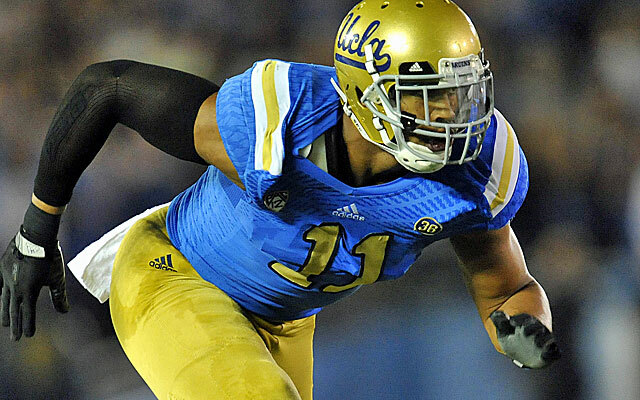 They can pair Everson Griffin and Anthony Barr as their future pass rushers. I really like this selection as a way to take away extra coverage from Calvin Johnson. 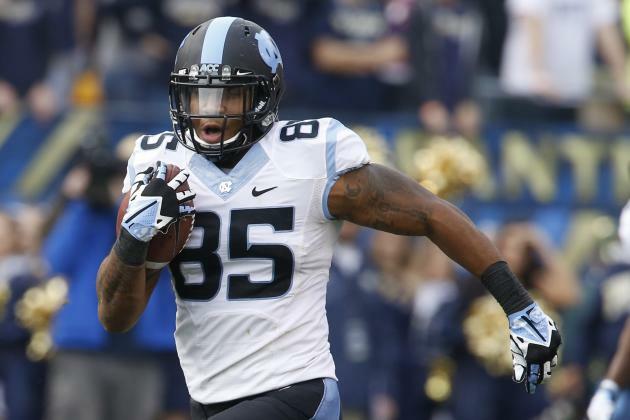 Eric Ebron has 4.5 speed, great open field running ability and is an underrated blocker. Ebron has the potential to make a Vernon Davis type of impact with his outstanding speed and receiving ability down the field. The Lions have crossed off a need of adding another receiving weapon. The Titans pick a quality offensive tackle that could be a good starter for them. 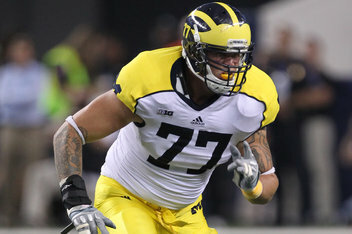 Taylor Lewan sometimes gets lazy in technique, but has major upside with athleticism and strength. Lewan has a nasty streak and will improve an offensive line that added Chance Warmack last year. 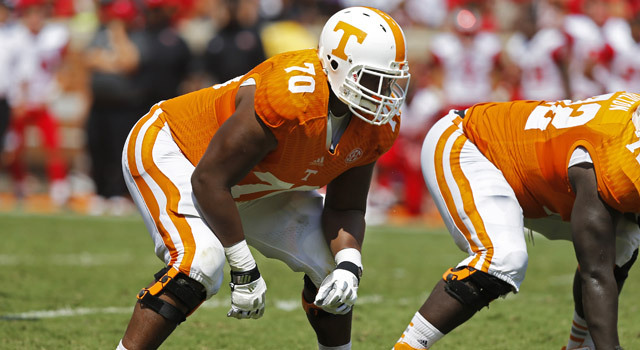 Tennessee may have one of the most talented offensive lines with the addition of Lewan and Michael Oher. I had Zack Martin as the higher rated tackle, but Lewan was very close. Odell Beckham comes in to the Giants as a replacement for Hakeem Nicks. The Giants need to get their offense back in a rhythm and Beckham can help as a really good wide receiver. Odell is a good route runner with excellent after the catch running ability. 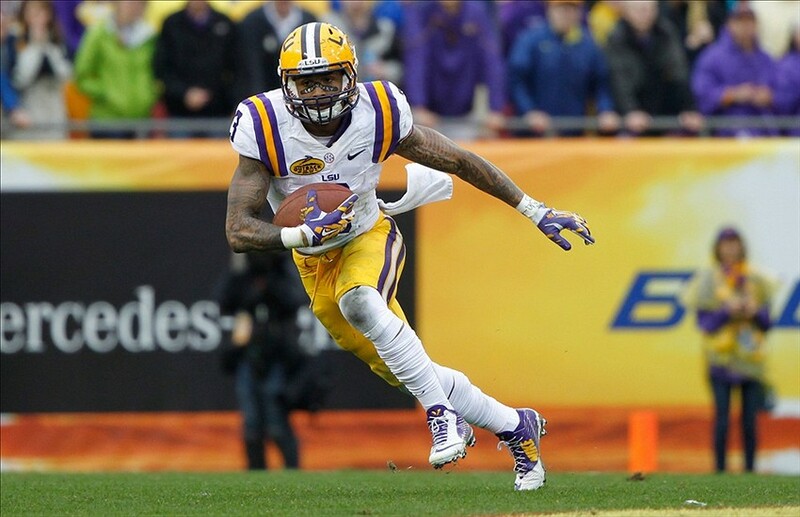 He was very productive at LSU at receiver and also at returner. I liked Aaron Donald here as an excellent value and to help from the losses of Linval Joseph and Justin Tuck. A very talented interior lineman, Aaron Donald makes the Rams have a star studded defensive lineman with Robert Quinn and Chris Long. I believe Donald is talented enough to come start right away on this defensive line. Aaron Donald did everything right in the draft process, he excelled at the senior bowl, combine, and interviews. Really thought this was a spot the Rams would sure up the safety position with Ha Ha Clinton-Dix, but Aaron Donald is a very talented three technique. Chicago has aging cornerbacks with Charles Tillman and Tim Jennings so this was definitely a team need. Fuller was my top ranked cornerback and has all the tools you look for in a corner. He is a physical corner which Chicago likes and excels in man and zone coverage. He is not an elite athlete, but has good speed and plays tight coverage on his wide receiver. Ha Ha could have also been the selection with them struggling in the safety position, but the Bears did still improve the secondary with a very talented cornerback. Ryan Shazier, ILB, Ohio St. The Pittsburgh Steelers put a point of emphasis on adding to their linebacking core. Ryan Shazier is a very athletic linebacker running the forty in 4.38. 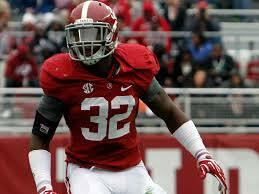 He can step in and be a good inside linebacker for the Steelers along with Lawrence Timmons. I thought of him more as a 4-3 weakside outside linebacker, but he did spend some time at Ohio State in the middle. I still question how good he will be taking on blocks and I believe C.J. Mosley was the better pick. Shazier is still a very talented player and will have the opportunity to play right away. This became the most interesting pick in the draft, would the Cowboys take Manziel or pass? I believe the Cowboys made the smart decision and took a good player to help them now. 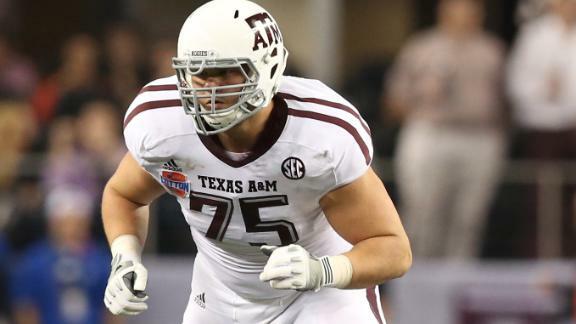 Zack Martin was one of my favorite tackles in the draft and I think can be a great player at guard or right tackle right away. It wasn’t defense, but my biggest criticism of the Cowboys a few years ago was how they didn’t invest high draft picks in offensive lineman. Now they have taken an offensive lineman in the first round for three of the past four drafts and the first two have worked out well for them. Look for Zack Martin to start right away at one of the guard spots and eventually move to right tackle with Tyron Smith on the left. 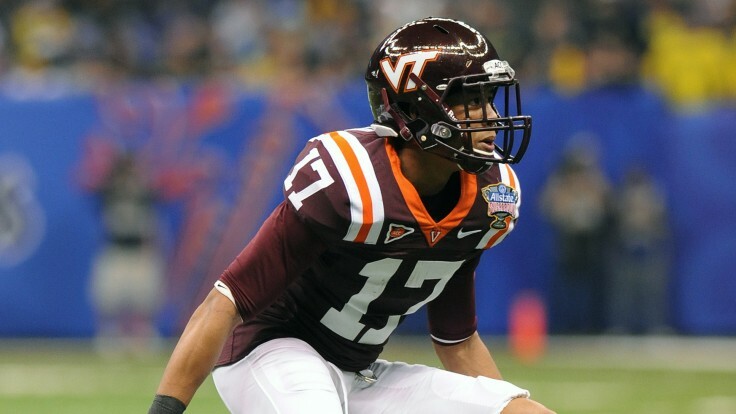 The Ravens got a great player with the 17th overall pick in the draft. C.J. 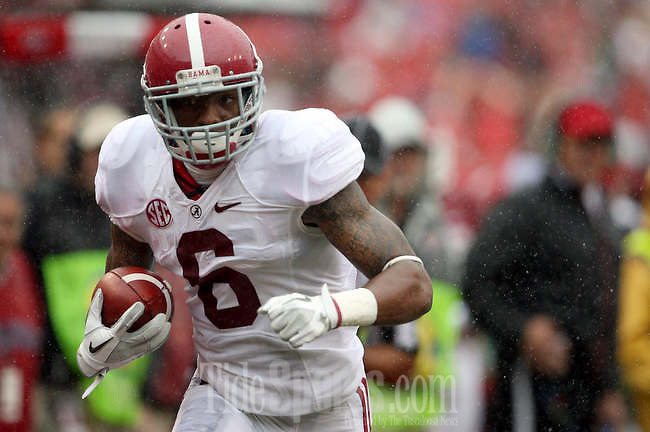 Mosley captained the Crimson Tide defense and showed the ability to fly all over the field. He shows good instincts and can move well through traffic. If Arthur Brown develops along with Mosley, the Ravens will have two solid inside linebackers in their 3-4 defense. The Jets took a Rex Ryan type of player in Calvin Pryor. Pryor is best known for being a hard hitter, but also has good coverage skills. The Jets were alright at safety beforehand with Antonio Allen and Dawan Landry, but it now becomes a position of strength. It was a little surprising that they didn’t go with an offensive weapon like Brandin Cooks, but I believe Pryor will be a good hard-hitting safety at the next level. This was the first big surprise for me as I didn’t have a first round grade on JaWuan James. He is a good offensive tackle with good feet as he played on the right side, but I didn’t see him going until the second round. He’s not a dominant run blocker, but could still be a good tackle. The Dolphins filled a major position of need as they’ll look for him to fill in on the Right Tackle spot. 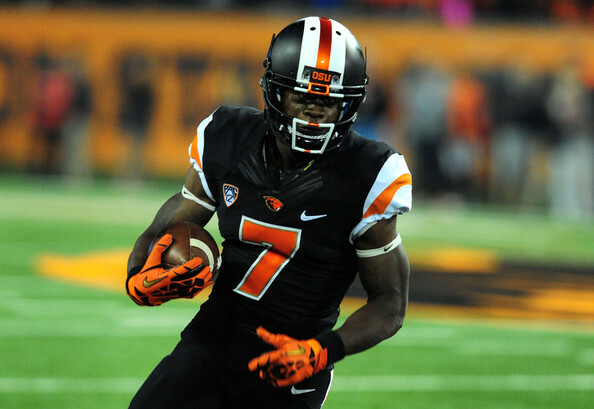 Brandin Cooks, WR, Oregon St. The Saints picked a very exciting player with Brandin Cooks. Cooks has elite after the catch ability with his quickness and 4.33 speed. He also has great ball skills and attacks the ball despite his height. The Saints do not have a player on their roster with the speed and quickness of Cooks and he should be an excellent weapon for Drew Brees. The Packers did a great job here filling a major need with a major talent. After a season where the Packers safeties did not have one interception, Ha Ha can come in right away as a ball hawk safety. The Packers have not had a safety like Ha Ha since Nick Collins. He should come in and start right away with his coverage skills and instincts to find the ball. After a long slide into the late first round, Manziel is a Cleveland Brown. It remains to be seen whether Manziel can be a franchise quarterback given all his questions coming out. He has the arm strength and accuracy to be a good NFL quarterback, but does he have the durability and decision making to be successful at this level. He will also have to understand he can’t out run the defenders in the NFL. He is the ultimate boom or bust NFL quarterback. The Chiefs get a quality outside linebacker that can be a pass rushing specialist his first year. He does just an ok job against the run, but can really bend around the corner when rushing the quarterback. Dee Ford adds depth behind two talented outside linebackers of Tamba Hali and Justin Houston. 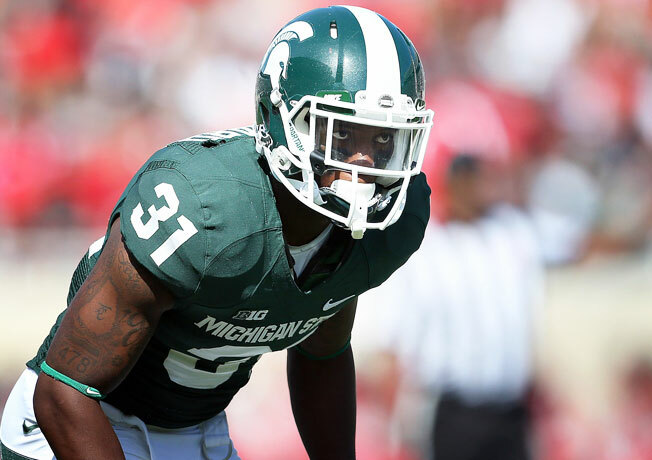 Darqueze Dennard, CB, Michigan St. The Bengals have to be ecstatic that Dennard fell to them with the 24th pick. Darqueze is a talented corner who helps the Bengals get younger at the position currently with Terrance Newman and Leon Hall starting. Dennard stays tight to his wide receiver in man coverage and is very physical. He may not have the best speed, but he remains a good man cornerback who can develop into a good starter. 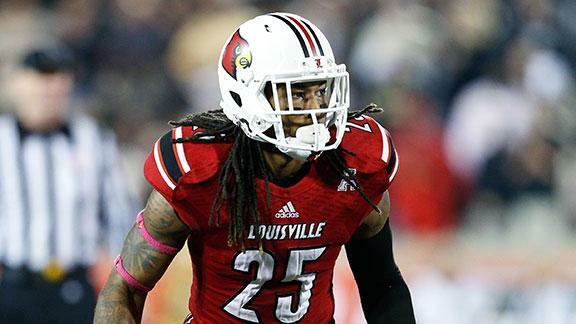 The Chargers also needed cornerback help and capitalized by picking Verrett. 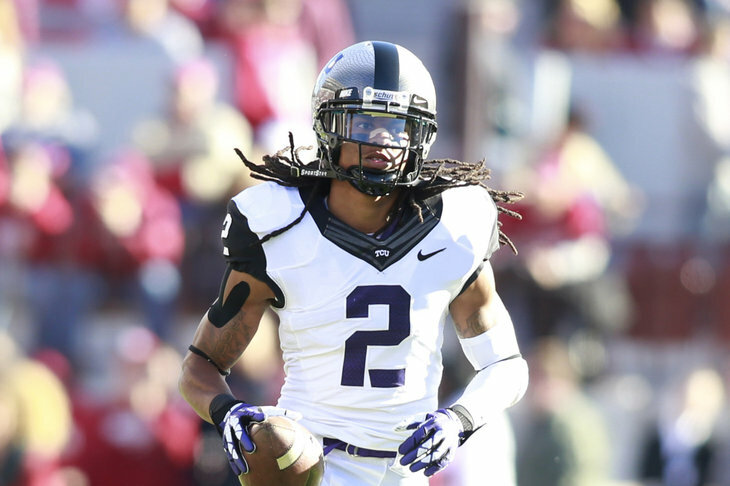 Jason Verrett is a very physical corner with good speed and movement skills. He has everything you want in a cornerback except his size. The Chargers filled a need with this talented cornerback. Philadelphia needed to add another pass rusher with aging Trent Cole and attempted to fill the need with Marcus Smith. I think this pick is ok but I would have preferred a few other players instead of my 54th rated player in Marcus Smith. Smith is a very talented pass rusher, but can struggle to hold up in the run. It should be interesting if he could develop behind Trent Cole as the Eagles next pass rusher. 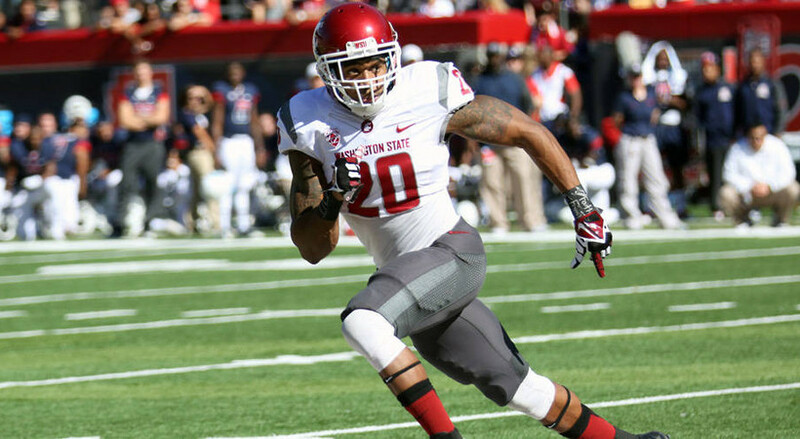 Deone Bucannon, S, Washington St. 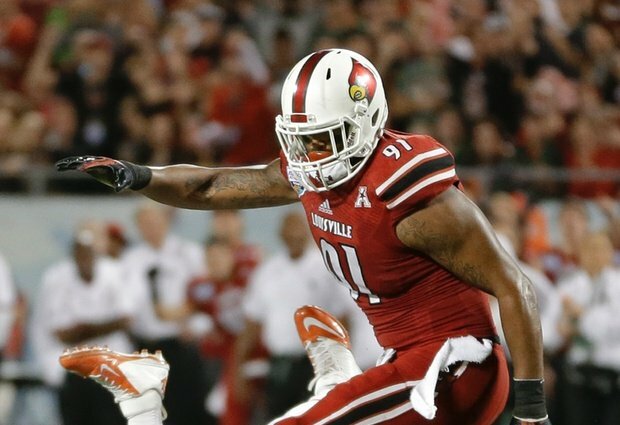 The Cardinals had their eye set on Bucannon and decided that 20 was too rich to take him. So they traded back and got a very hard hitting safety for their defense. Safety was a position of need and they must have preferred him to Ha Ha trading down from their twentieth position. He sometimes doesn’t take the best angles and can get caught in coverage, but overall a very good player. With the safety class not being that deep it was important for the Cardinals to get their safety now. 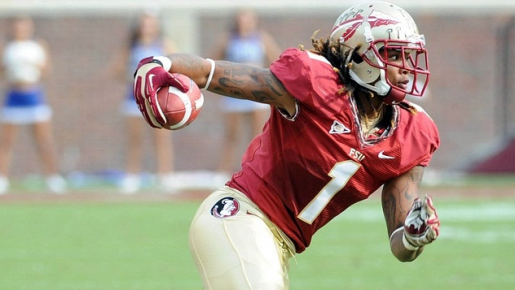 Kelvin Benjamin, WR, Florida St. The Panthers picked their biggest need, but it was surprising they took Benjamin over Marqise Lee. Benjamin is a much bigger project and has inconsistent hands. The Panthers went with the upside, but Benjamin may be pushed into action with the Panthers wide receiver depth being very thin. A huge injury risk, the Patriots took a chance in the first round on Dominique Easley to solve their aging defensive line. Easley has torn both of his ACLs and missed most of last year due to the tear. When healthy Easley is a great interior pass rusher and disruptor. The Patriots took a huge risk with Easley’s injury history. The 49ers needed nickel back coverage help and may have found the perfect fit with Ward. Ward can line up at corner or safety and is a good tackler with ball skills. He played safety in college and is closer to cornerback size than safety. Look for Ward to possibly have an impact early on. 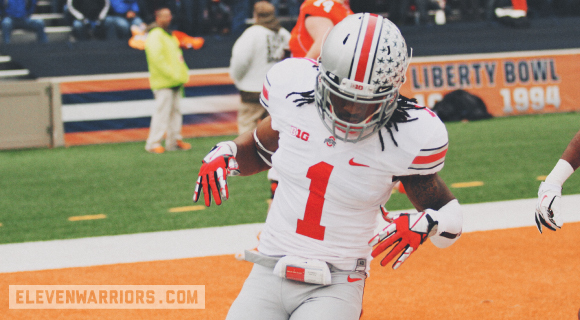 Bradley Roby, CB, Ohio St.
Roby has all the tools you look for in a corner: Good Feet, Fast, quick change of direction, and has good height. However he did not play up to his potential at Ohio State and had quite a few mental lapses in coverage. He also is a bit of a character risk being suspended the first few games at Ohio State. However he the Broncos got him in a good spot late in the first round and they can develop him to fix a need at cornerback. A great move by the Vikings moving up into the first round and pick my top quarterback in the draft. 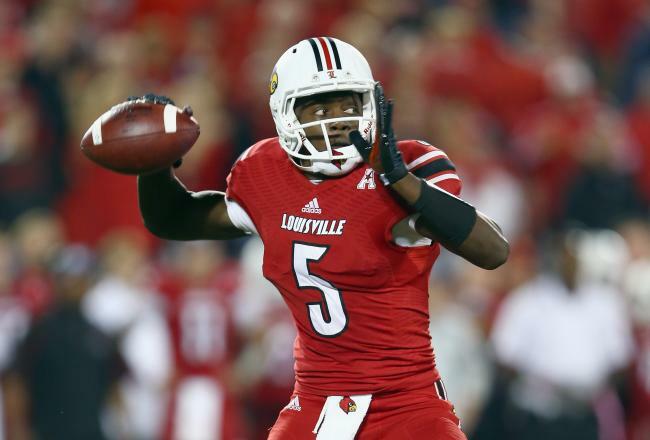 I believe Teddy Bridgewater is the most ready to play quarterback in the draft with his high football IQ and tools. To add to that he has a good arm and accuracy. A bad pro day caused Teddy Bridgewater to fall in the draft, but I’ll take the three years of good tape over one bad pro day. 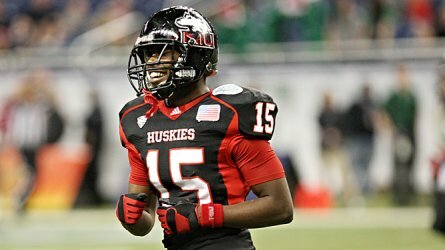 I believe the Vikings got a steal at the end of the first round.